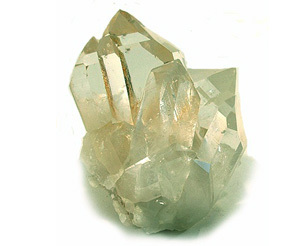 Silica is common in nature as sand or quartz. Silica, or silicon dioxide (SiO2), is commonly found in nature as sand or quartz. Silica is harmless to human health, passing without effect through the body. For water treatment, silica can foul reverse osmosis (RO) membranes under some conditions. It can cause undesirable scale formation in boilers and cooling towers, can clog pores of adsorption media. It can contribute to the formation of colloidal iron and colloidal manganese. Ion exchange with strong base anion resin (for dissolved silica), coagulation (such as with alum)/filtration, reverse osmosis (if silica solubility is not exceeded in the reject stream), ultrafiltration (of colloidal silica), lime softening/precipitation (in large flows).